As per the “Automation Testing Market by Technology, Testing Type, Service, Endpoint Interface and Region – Global Forecast to 2023” report, the global automation testing market size is expected to grow from USD 8.52 billion in 2018 to USD 19.27 billion by 2023. The major factors that are creating the demand for the automation testing market are the need for digital transformation, the need to adopt DevOps and Agile methodologies, and more – all of which are in turn being driven by the insane growth in the usage of mobile devices and technologies. However, organizations need to keep in mind the fact that while automation testing helps increase the Return on Investment (RoI) – it also may open doors for attacks on data. 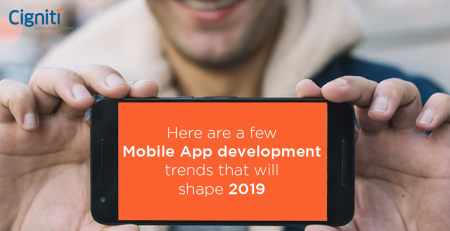 While organizations seem to enjoy the huge surge in the market for mobile devices and technologies, the customers’ joy is marred due to the defective mobile apps that have flooded the market. Almost everyone has at one time or the other encountered a defective app that has annoyed or frustrated or even angered them because of the bugs that infested the app during the development process. In fact, there are articles that talk about how email scams and faulty mobile app development seem to be similar, as both seem to be intent on conning the consumer. Of course, in case of mobile apps, perhaps, there is a scope for resolving the issue with thorough mobile test automation. Why is mobile test automation essential for any business? The failure of a mobile application doesn’t just impact that specific application. Rather, it raises severe questions and concerns about the quality, trust, and functioning of the other applications being developed by the organization, tarnishing its brand and public image, thereby leading to lower RoI. Mobile testing and its automation therefore play a business-critical role in the growth of an organization. In case of any backlash from the users, CXOs would find themselves in the line of fire as the mobile app becomes a representative of their company in the market. Apart from experiencing the losses and embarrassment associated with the defective app, it is also very demoralizing for your entire team that invested so much time and effort in planning, designing, creating, and releasing the application to the market. A study found that consumers have little to no tolerance for defective apps or for the companies that deliver them. Almost 90% of defective apps once downloaded, are used once and then deleted, indicating a clear message that if the app does not provide the right customer experience (CX), instantaneous results, or gratification, the consumers will move over to other apps in a matter of seconds. Add to this the plethora of applications available providing similar features, and the challenge being faced grows tougher. It has therefore become imperative for the C-suite to discuss how to adapt, adopt, and implement the best mobile test automation practices. 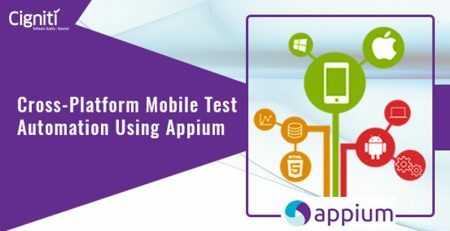 Let’s have a quick look as to a few important factors as to how mobile test automation can help organizations. ROI: Most organizations would agree that the end objective of their business is to maximize ROI. Developing mobile-based applications requires investments in the form of finance, time, and efforts put in by the resources. While organizations understand the importance of testing these applications, most of them invest in performing only manual testing. Implementing mobile test automation will help them save both time and money, as also ensure app quality. With each upgrade in the operating system or change in source code, software tests need to be repeated to ensure removal of possible bugs. Test automation helps developers perform continuous testing at a much faster speed than manual testing. For example, while one manual tester can typically test 50 possible scenarios in a scheduled work day, on the other hand, tests can be finished using a using a 1000-test regression set within the span of a single day. It’s obvious that implementing test automation helps save considerable costs, increases go-to-market speed, thereby improving the RoI. Increase in customer database: Clean, bug free applications that provide quality, seamless functionality, and are known to take care of security concerns are those that can provide instant gratification to customers. Such applications will naturally be more popular than others and have larger acceptance in the customer world. Having a large, happy customer base is a dream come true for all businesses that want to thrive and succeed in today’s digitally disruptive market. Wider & Improved Test Coverage: Continuous Test Automation increases the consistency, robustness, and range of testing thereby improving the software quality. Automated testing also helps accomplish tasks such as validating memory, database and file content – tasks that are difficult for manual testers to accomplish in a short period of time. Non-stop Execution: Test automation helps organizations overcome the most obvious challenge that of manual testing being impacted due to its repetitive and mundane nature of work and that the teams get tired. Test automation guarantees continuous, non-stop execution of tests all day long. Additionally, automating the tests frees you from having to monitor the tests throughout the entire process – with the promise of delivering perfect results on-time, every time. With mobile applications being continuously developed and released to the market, saving every second is critical for the businesses. Seamless updates to the applications: Even after an app is released to the market its’ evolution and development does not stop. There is a constant need for updates and improvements. If not done, it will lead to a bleak future for the app. Every time an app is upgraded, performing continuous testing ensures that the app is compatible with the new upgrades. Businesses that do not upgrade their apps usually witness a decrease in the popularity of their apps as they are inconsistent with the current devices, hardware and OS versions. CXOs today therefore need to understand the criticality of automation testing for mobile applications as it has become essential for catering to the dynamic requirements needs of the mobile applications market. Cigniti’s Mobile Testing CoE, in partnership with cloud-based platforms, provides access to a wide range of testing services, tools, and mobile device lab. We have experience in providing a host of tests for Mobile devices such as Interruption, Memory, Accessories, Performance, User Interface, Compatibility, Network Type, Installation, Upgrade, Drive, Battery, Performance, Functional Testing, Carrier Testing, and Geo-Fence. Connect with Cigniti’s Mobile Testing experts have strong expertise in testing various mobile apps – native, web, and hybrid, and keep themselves abreast with the latest methodologies, mind maps, and checklists based on platform updates. Leverage our in-depth experience in mobile testing for diverse domains such as Banking, Insurance, Travel and Retail leveraging leading industry tools and best practices. 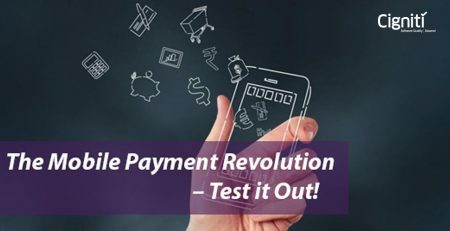 The Mobile Payment Revolution – Test it Out!